Stamford UC is perfect for industrial and marine ac generators in the range 40 to 250kVA. Single or two bearing construction including dynamically balanced rotor and sealed-for-life bearings. Single and three phase voltages available from a 12 wire reconnectable winding. IP23 enclosure protection is provided as standard and PMG is avaialble as an option. The SX460 is a half wave controlled thyristor type automatic voltage regulator (AVR) and forms part of the excitation system for a brushless generator. The AVR has under speed and sensing loss protection features. This model provides closed loop control of the output voltage with load regulation of +/- 1.0%. 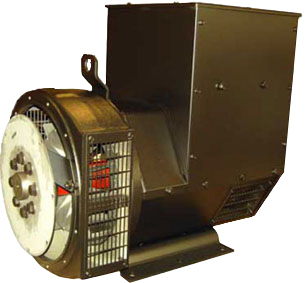 Stamford Newage alternators are well known for their enhanced performance and rugged reliability. This line of generator ends is recognized for their quality and versatility around the world. Stamford's reputable designs provide the highest standards in manufacturing, and allow dependable power generation.